This Textbook provides essential and contemporary data about the anatomy of the human central nervous system, together with basic aspects of its physiology and clinical correlations. This book is intended to be used primarily by students who study medicine or dentistry in English at Bulgarian Medical Schools. Despite the abundance of Neuroanatomy books in English, none covers the needs of this particular pool of students. 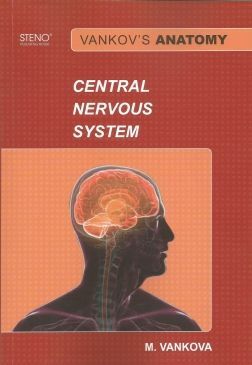 The book provides essential and contemporary data about the anatomy of the human central nervous system as well as basic aspects of neurophysiology and clinical correlations. The scope of the material covered in it is conformed to the curriculum traditionally taught in Bulgarian Medical Schools, which was a major incentive in preparing and publishing it. I strongly recommend the book to be used together with atlases of human anatomy, which provide high quality images of the Central Nervous System. The images I chose to put in, in most cases offer schematic or alternative information, further clarifying statements in the text. In honor of Prof. V. Vankov, founder and long-time head of the Department of Anatomy, Histology and Embryology, University of Medicine – Varna and author of many editions of a Human Anatomy textbook, this book appears under the title “Vankov’s Anatomy”. I would like to thank Dr. K. Dikranian, Associate Professor of Anatomy, Washington University School of Medicine in Saint Louis, USA and Dr. A. Tonchev, MD, DSc, Associate Professor at the Department of Anatomy, Histology and Embryology, University of Medicine – Varna, Bulgaria for reviewing and approving this book.